Sir Ridley Scott has made some of the greatest genre movies of all time, but in the last several years, he's also made some horrible mistakes. But his misfires and missed opportunities pale before the grievous error he's about to make: creating a sequel to Blade Runner. The original Blade Runner is a science fiction masterpiece, but it's one that doesn't invite any additional narrative. Blade Runner tells a single, complete story, and any continuation of it can only diminish the original's brilliance. See, Blade Runner is set up so that any sequel wouldn't just be a new adventure in the same setting, or a new installment in the franchise, but instead a new chapter in the same story. If you're about to complain how movies stand alone and sequels and prequels don't really affect the quality of the original, that's true… to a point. Ridley Scott's Alien is considered a scifi-horror masterpiece, but its one whose setting and characters allow for sequels and prequels alike to be made, their wildly varying quality doesn't affect Alien at all. As part of the tale of Anakin Skywalker, the lackluster Star Wars prequels do diminish the original trilogy for many fans, but the fact of the matter remains that the original trilogy still tells its own story just fine. But Blade Runner is extremely unique in that any sequel that includes the character of Rick Deckard, would by necessity answer questions that the original movie pointedly left unanswered. We all know the central theme of the original Blade Runner is what examining the nature of life and humanity, by the comparison of the replicants of the film — fake humans who have real human needs, including the desire to live past their creator-imposed lifespans. By comparing the actions and feelings of the humans in the film to the replicants, Blade Runner asks what the fundamental aspects of life and humanity really are. 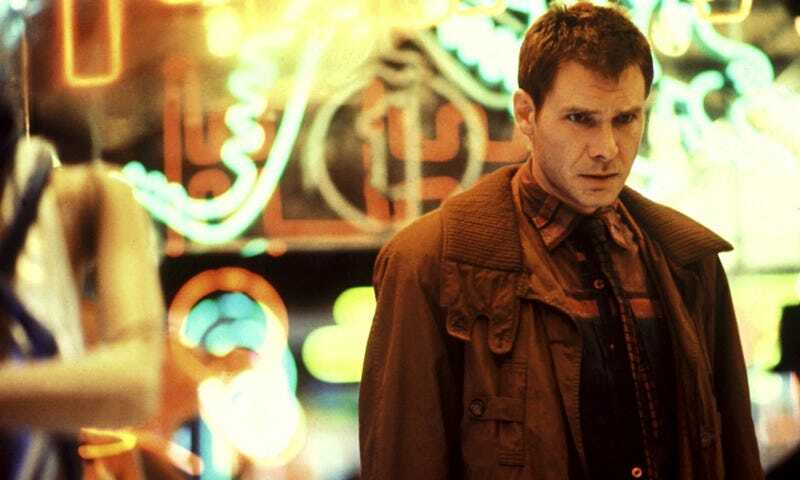 It's a question that is perfectly encapsulated by the character of Deckard, who by the end of film, is unsure whether he's "real" or a replicant himself. It's a mystery that the film does not solve, because the ambiguity forces viewers to consider both these potential solutions simultaneously. It's one of the reasons Blade Runner is one of scifi cinema's richest stories. A Blade Runner sequel —one that includes the elderly Harrison Ford — would answer this question definitively, because the first film has clearly stated that replicants only live a few years. If Deckard has managed to survive until his old age, he's a human, and thus the original movie is robbed of a great deal of its complexity and power. And it's not that Blade Runner 2: The Legend of Tyrell's Gold or whatever it's going to be called will need to spell it out for us; the mere existence of an old Deckard is enough to compromise the integrity of the original film. Sure, we fans can choose not to watch Blade Runner 2, but we can't not know the film exists. For some reason, Ridley Scott has been trying to ruin the ending of Blade Runner for years. He's gone on record several times saying that Deckard is human — notably only in interviews in the last decade or so — but its easy to dismiss one man's opinion, even if he was the one who directed the movie. But a sequel starring Rick Deckard in his twilight years is something much, much harder to ignore. Not matter what story Scott and original screenwriter Hampton Fancher have cooked up, the chances of them creating a tale so good as to be worth this cost to the original film is essentially nil. And even if Scott had a good track record with making prequels and sequels to his best movies (which he very much does not) the odds of him recreating anything as incredible as Blade Runner is highly unlikely. Even the fact that Scott isn't planning on directing the movie himself isn't helpful, because Harrison Ford is part of it, and if Ford is starring he's starring as Deckard, and thus the original film's ending is compromised. Even beyond the Deckard problem, there's nothing that needs to be added to the Blade Runner story or mythos, and there's probably nothing that can be added. The things that were left unanswered were left unanswered on purpose. No one is wondering what 70-something Deckard's life is like, or whether he got an apartment with Edward James Olmos and started a origami company, or anything. The future that Blade Runner envisioned was very much a future seen from the early '80s, and it's not one that's nearly as relevant today. A new installment, made so many decades after the original, can't possibly work. And Scott should only need to look at his own film Prometheus for proof. The only thing a Blade Runner sequel can do is diminish the power of the original. It's a losing proposition for the movie, Ridley Scott, his legacy, and audiences. There is no upside. A Blade Runner sequel isn't just unnecessary, it would be a detriment to one of scifi's undisputed masterpieces. Wake up, Ridley. It's time to let this idea die.